Biography: In 2010, Gospel Life International Church Ministries began. Committed to making disciples and starting house churches throughout their area, Kashif and Razia answer the challenge of ministering to a 96.2% Muslim culture. Presently, they are working with 60 local pastors. Kashif explains his primary focus is village evangelism and his secondary is providing social service through working and encouraging independent rural pastors. They do this through teaching and preaching in crusades, Christian Youth Awareness Seminars, and street evangelism and outreaches. They also minister through their orphanage which currently houses 47 children. 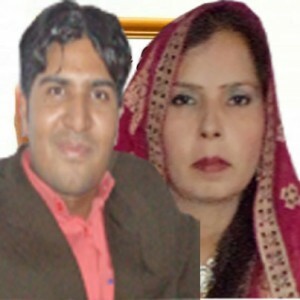 Strengths: Kashif and Razia are planting house churches and ministering the word of God. Through this, people are receiving miracles.